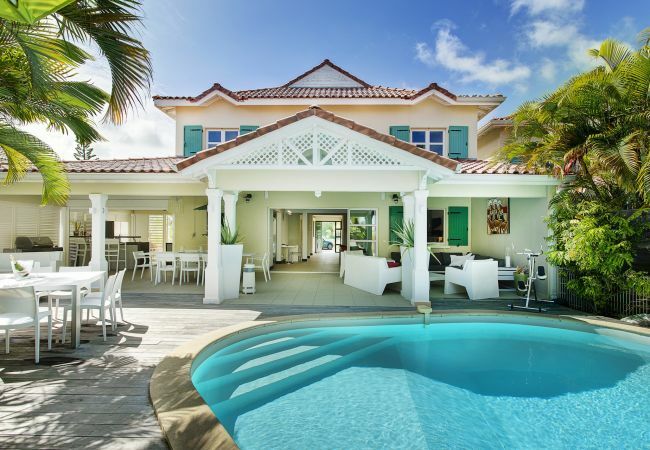 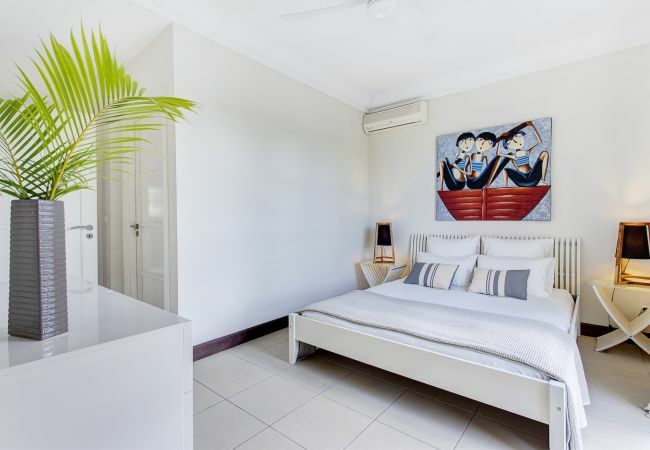 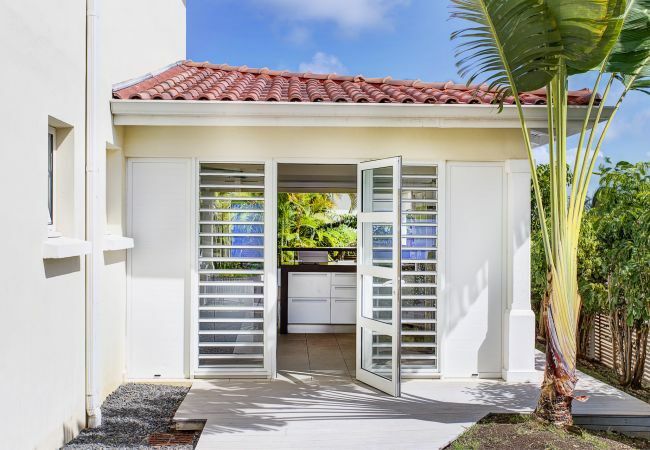 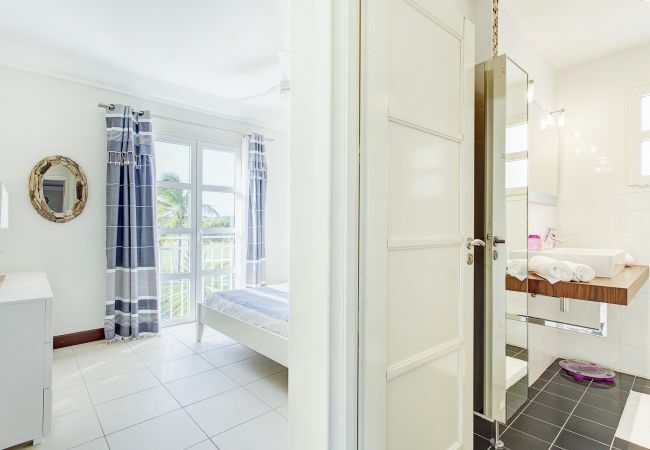 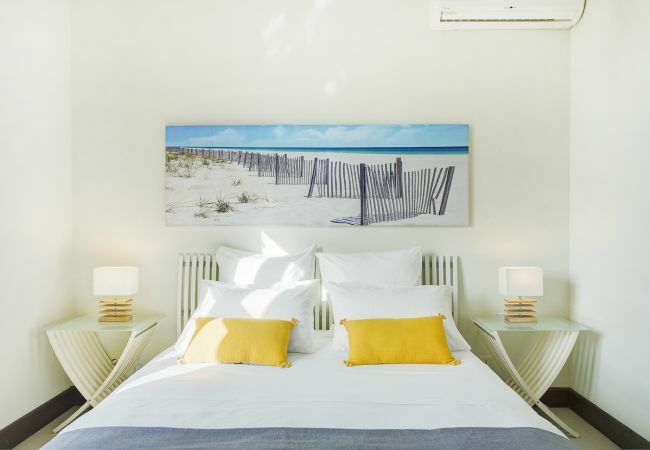 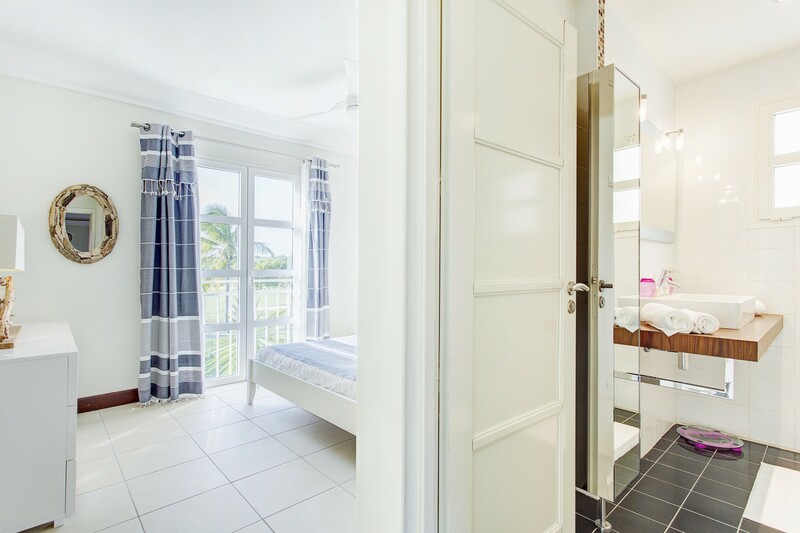 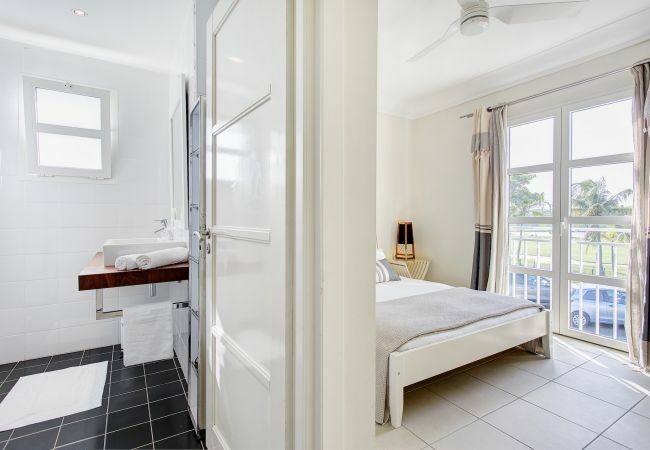 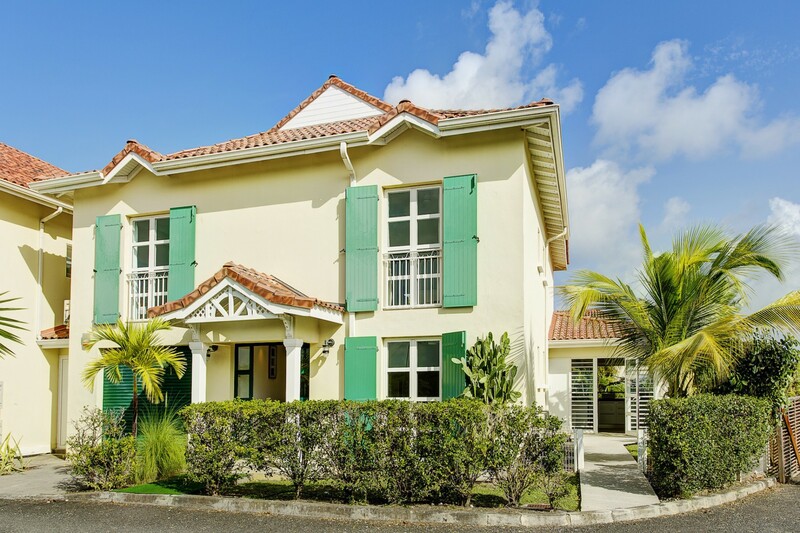 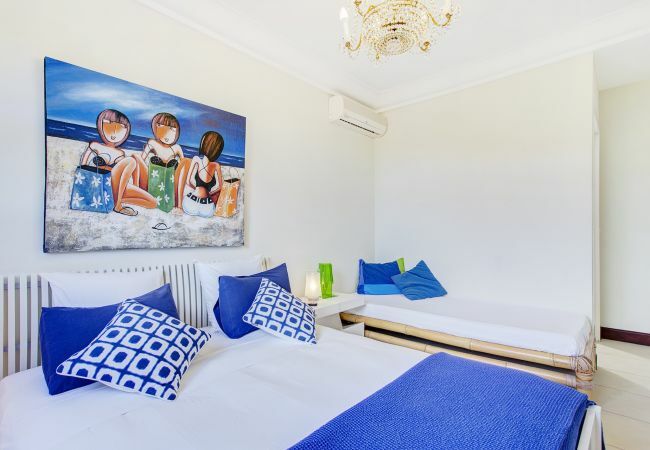 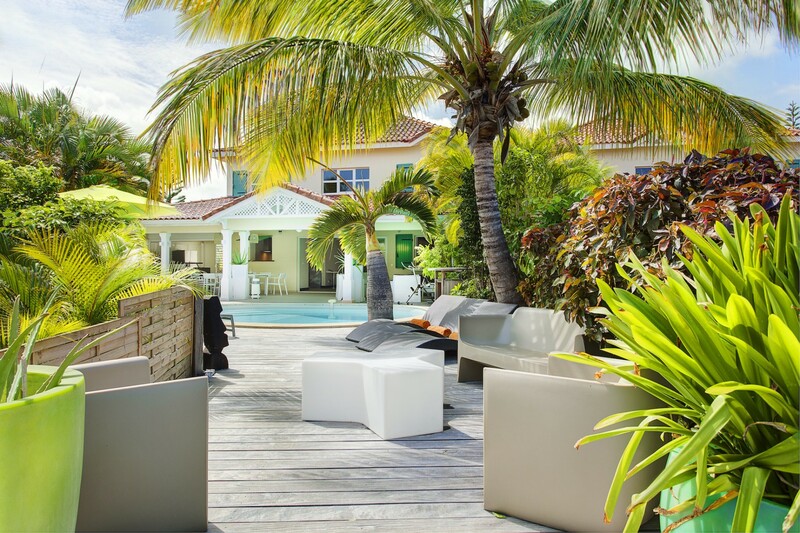 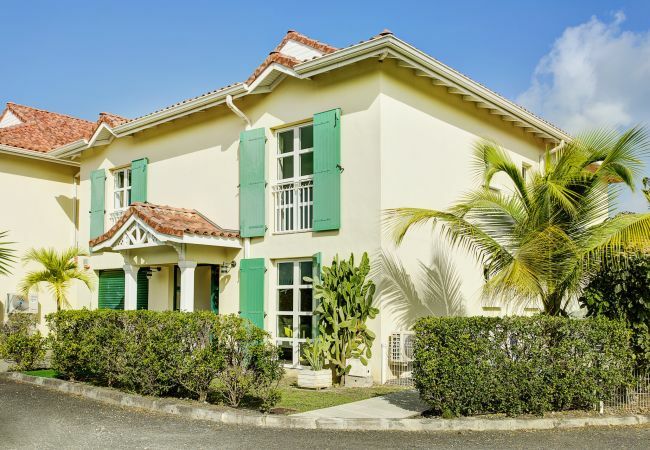 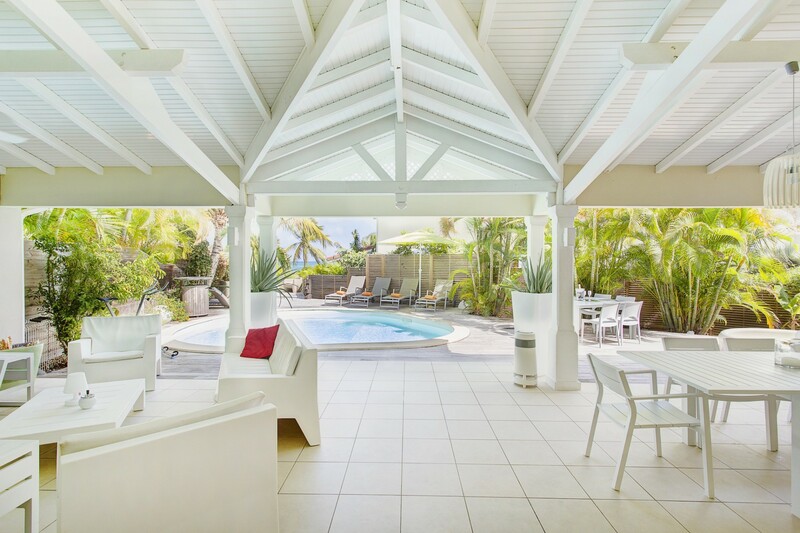 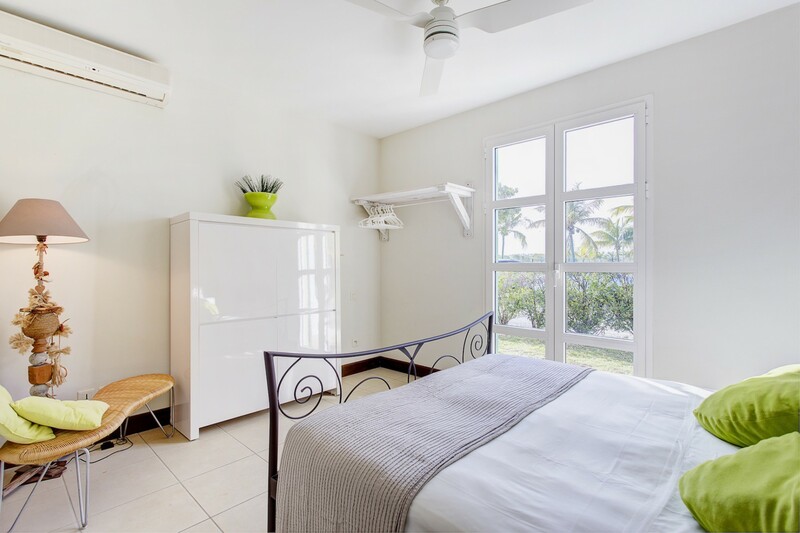 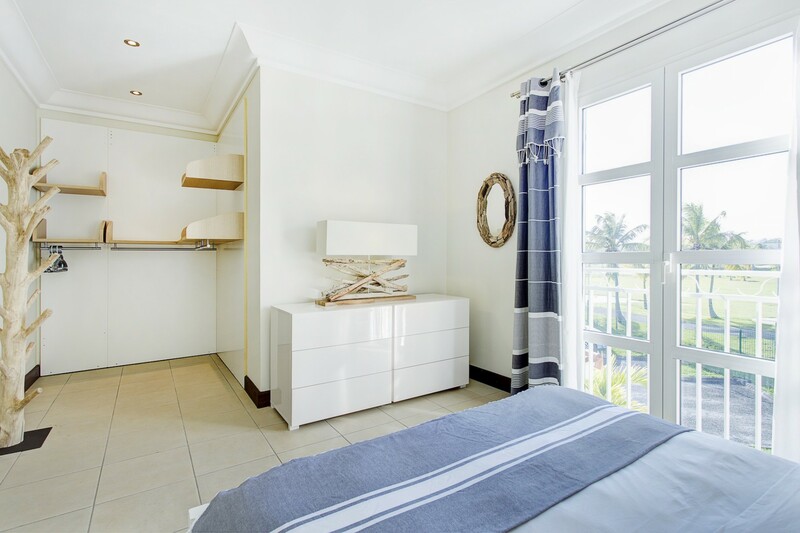 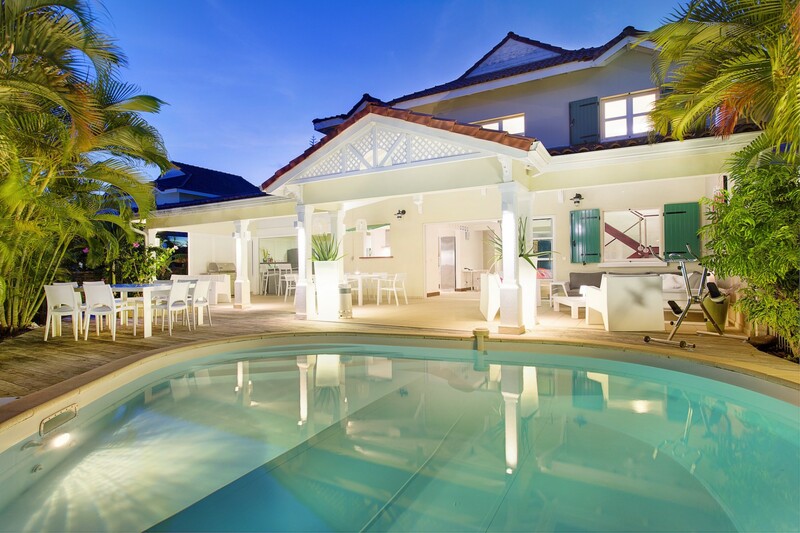 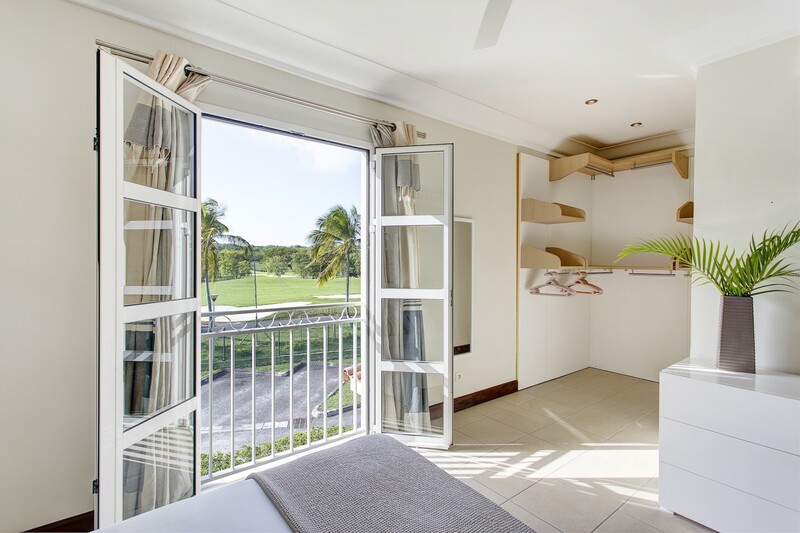 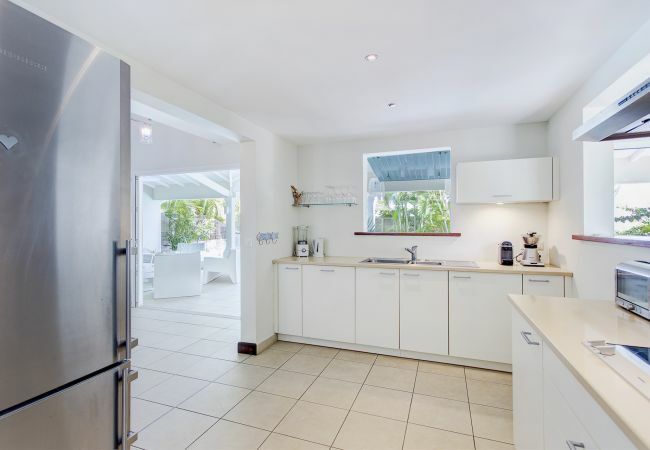 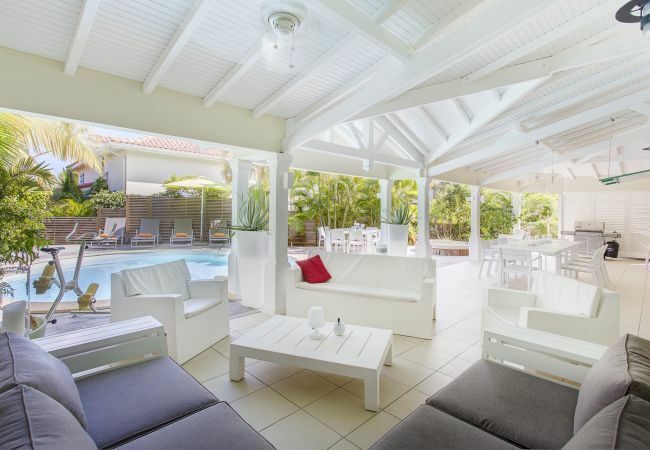 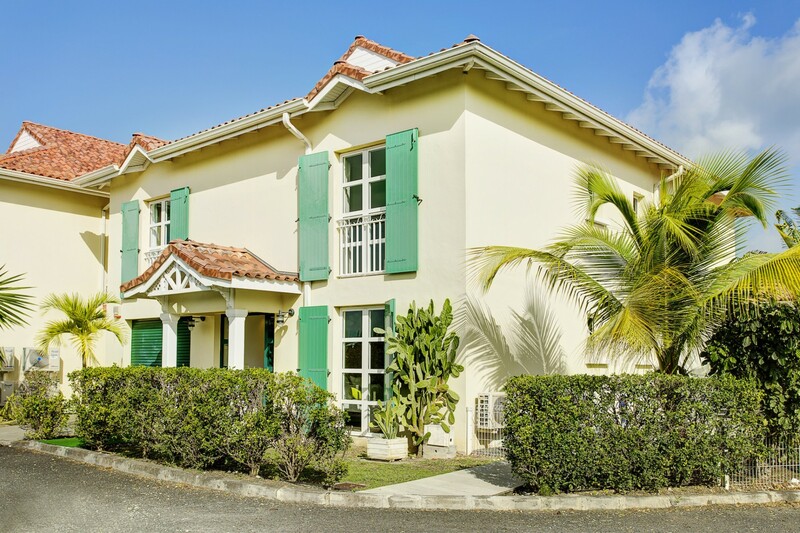 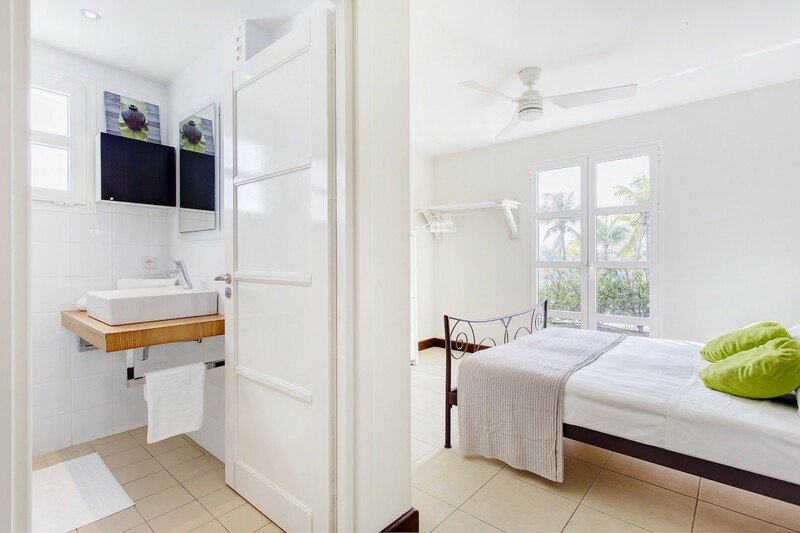 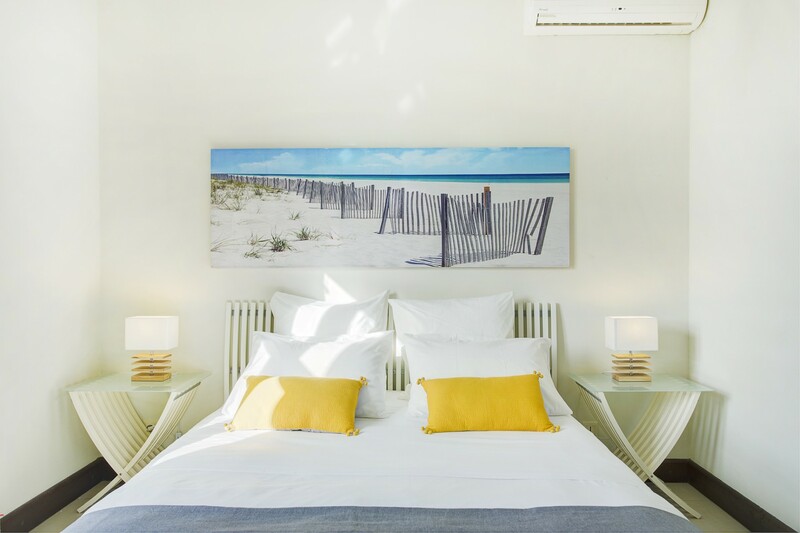 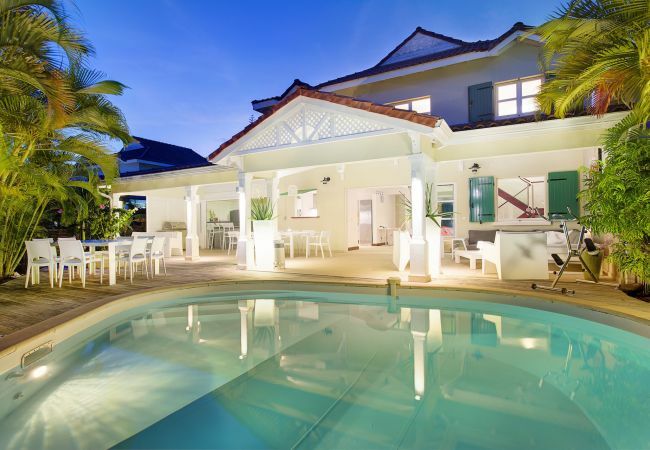 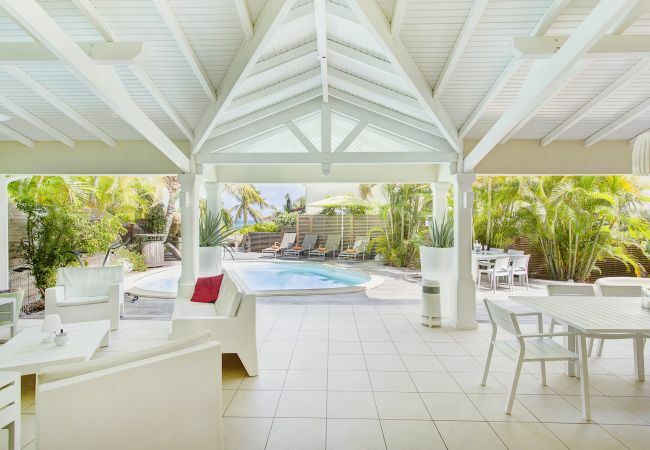 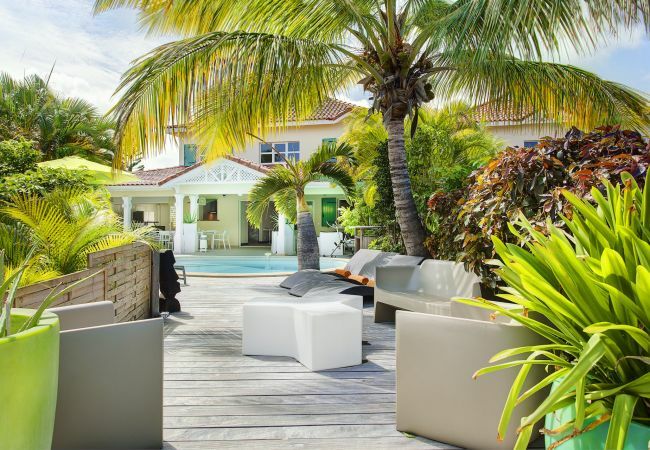 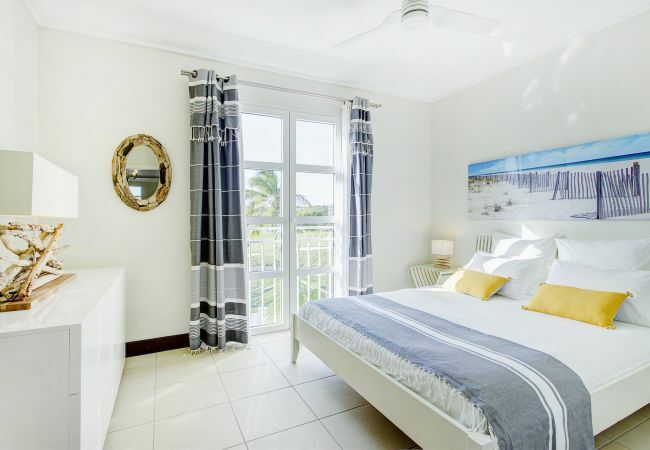 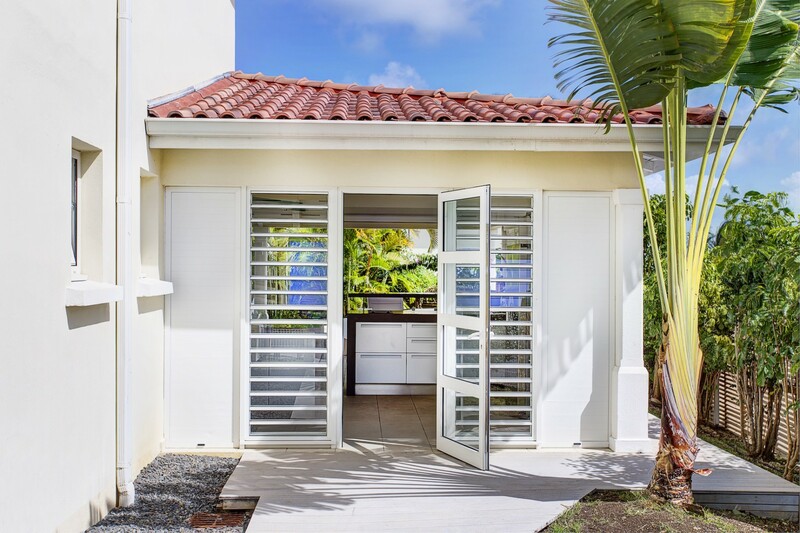 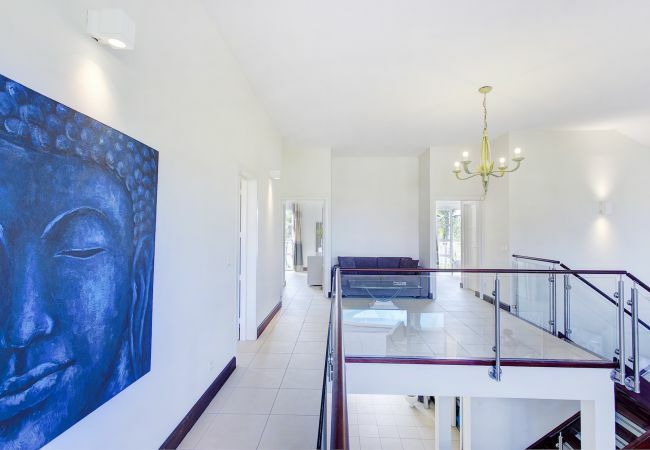 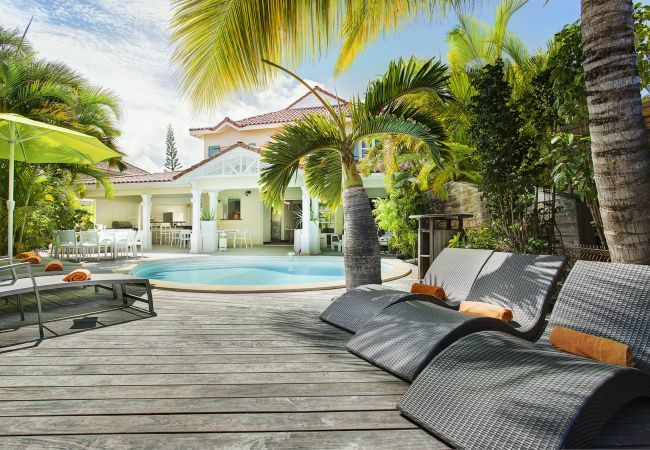 Between golf and lagoon, Villa Champagne Guadeloupe is ideally located at 25 meters from the beach, 100 meters from the golf, 200 meters from the marina with restaurants and shops. 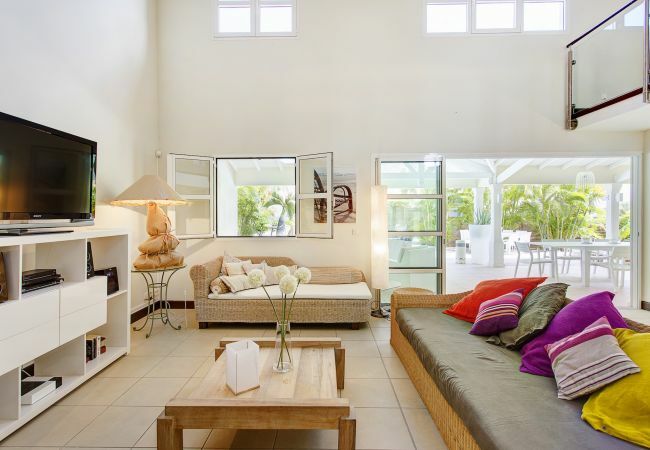 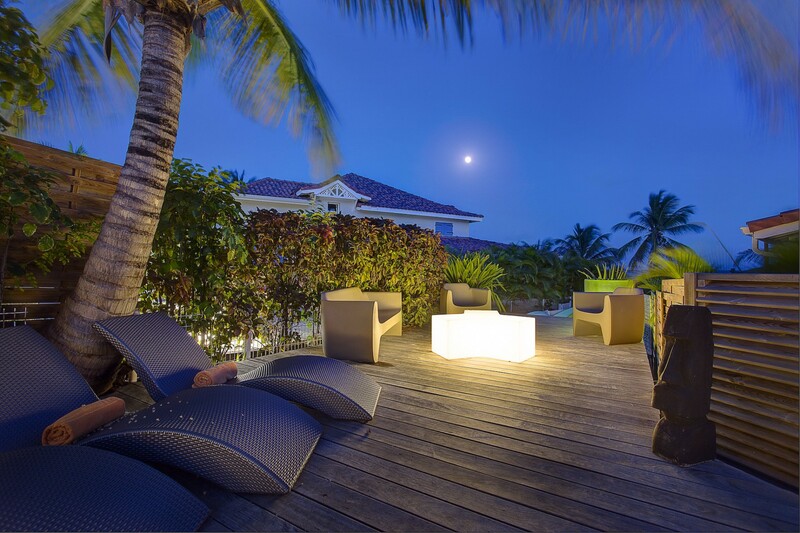 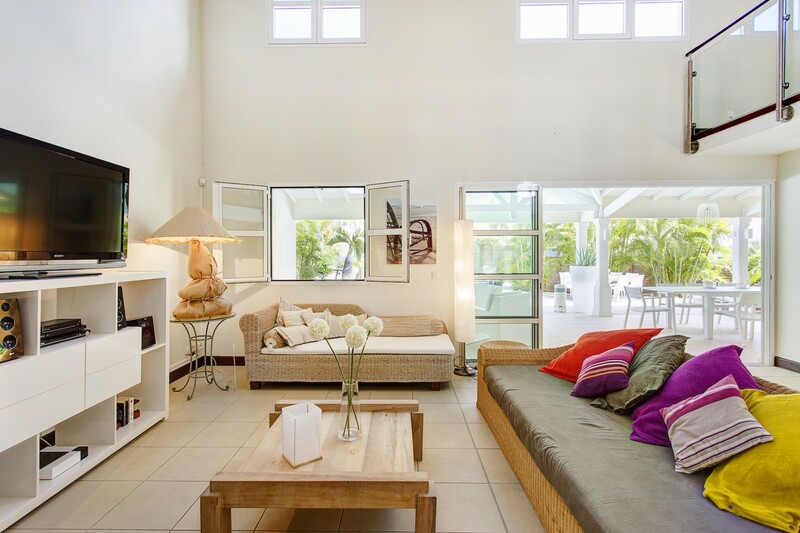 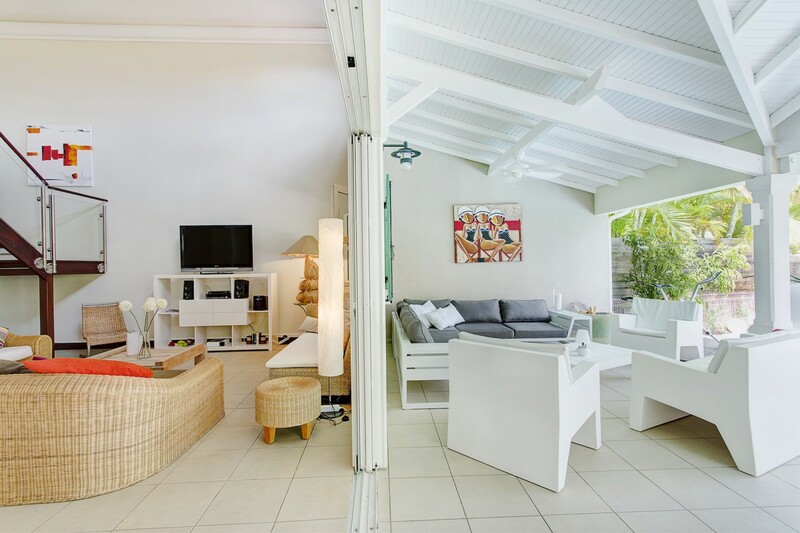 In Villa Champagne Guadeloupe, you will find selected furnishings that complete the property’s modernity. 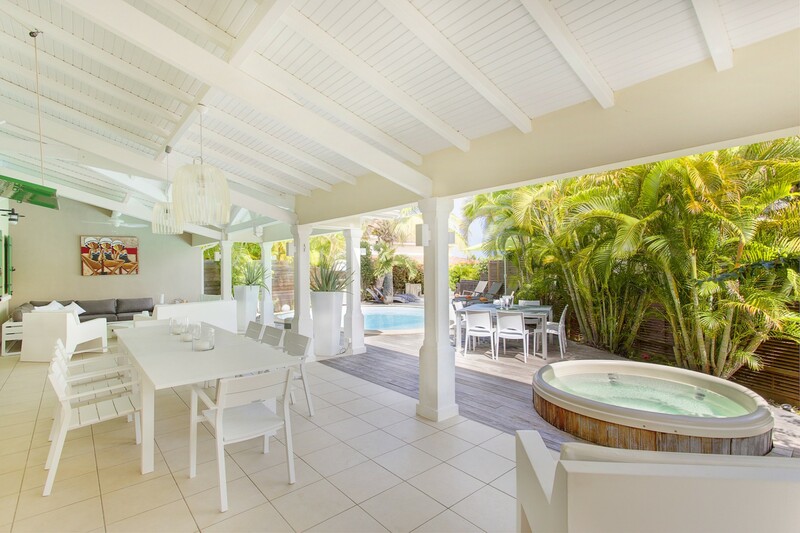 You can also relax in the jacuzzi and refresh yourself into the plunge pool. 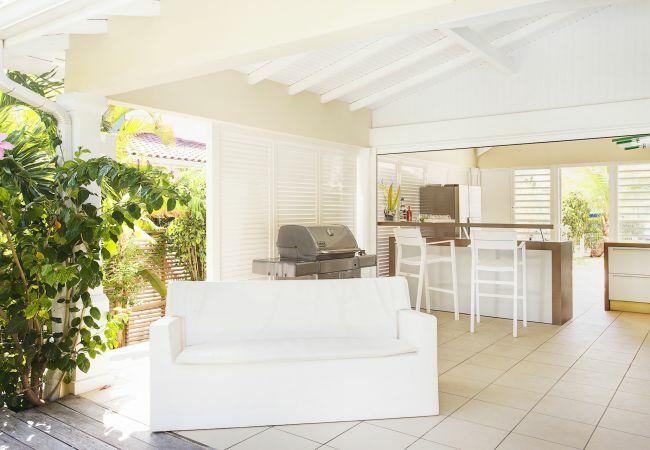 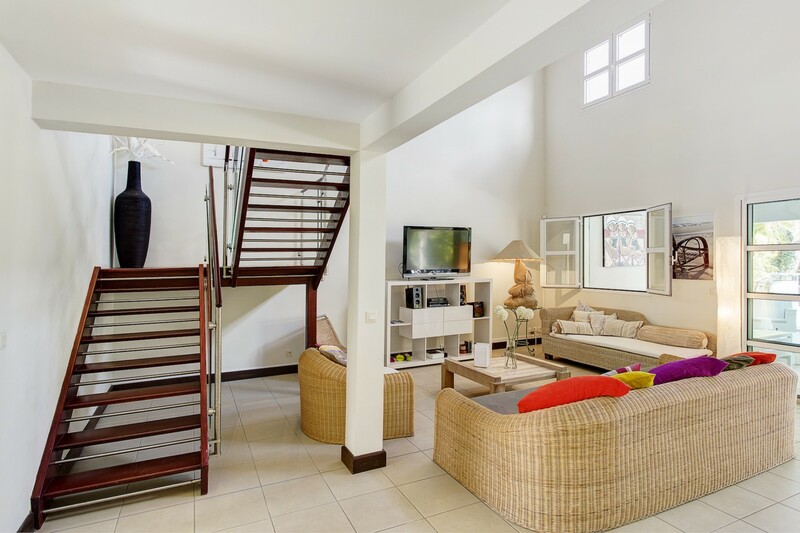 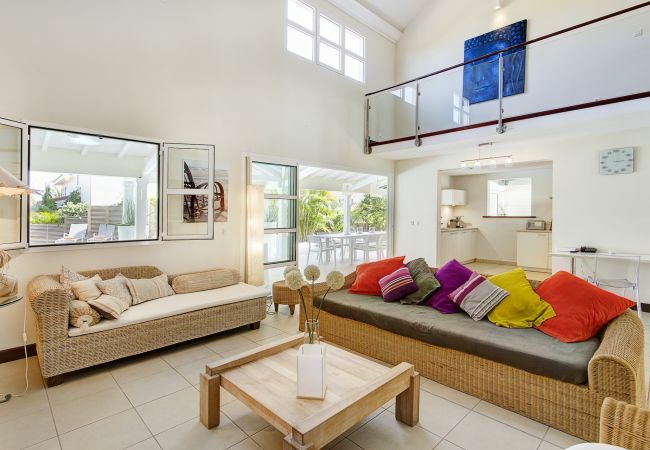 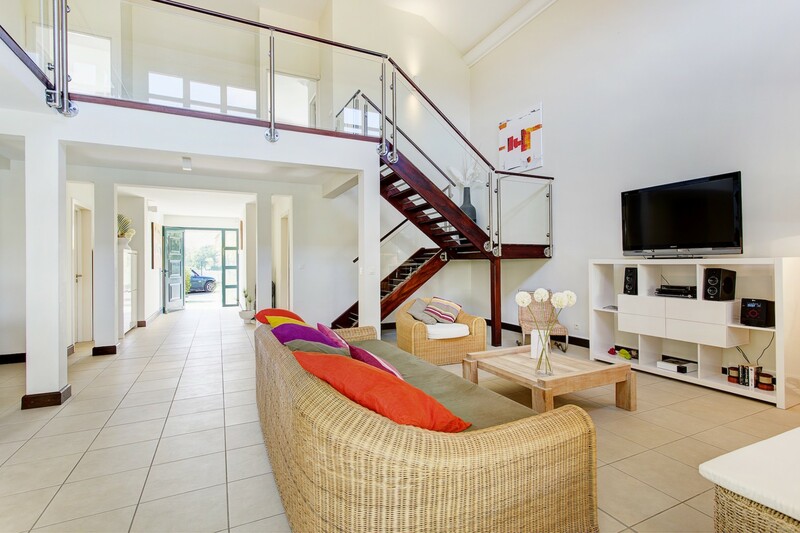 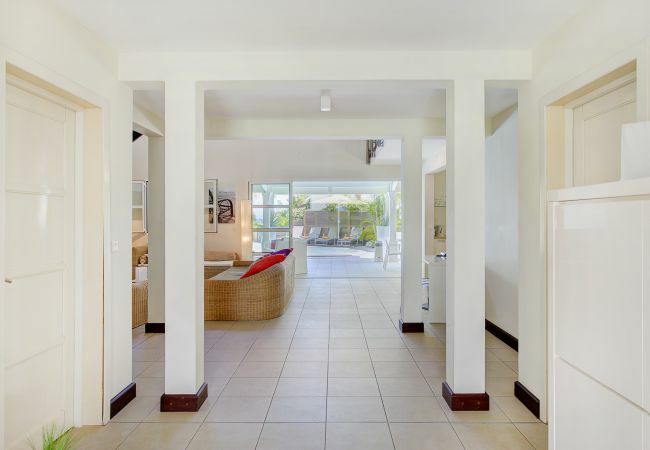 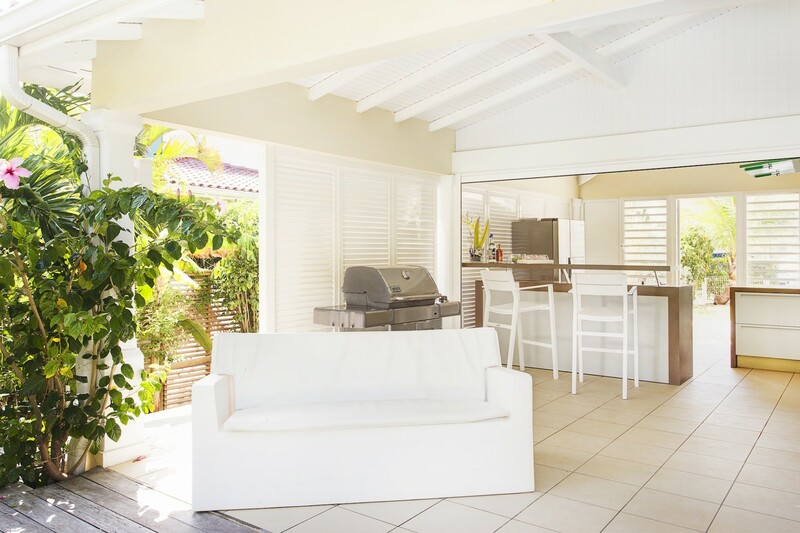 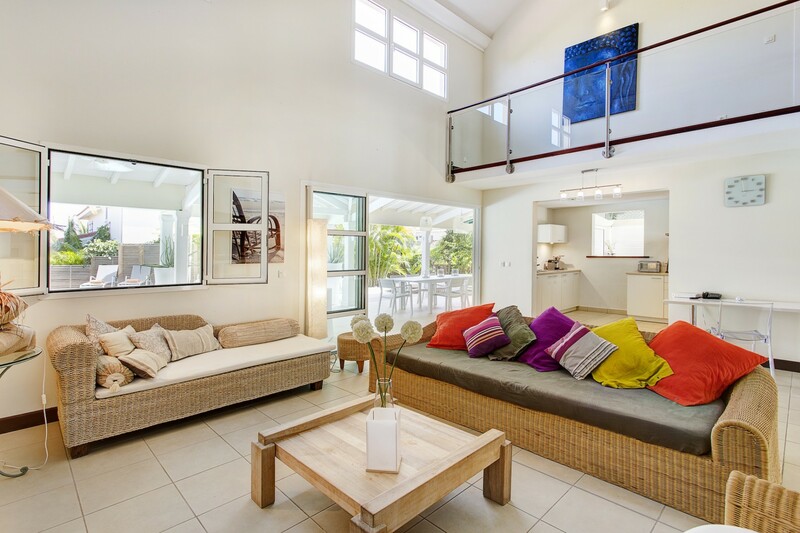 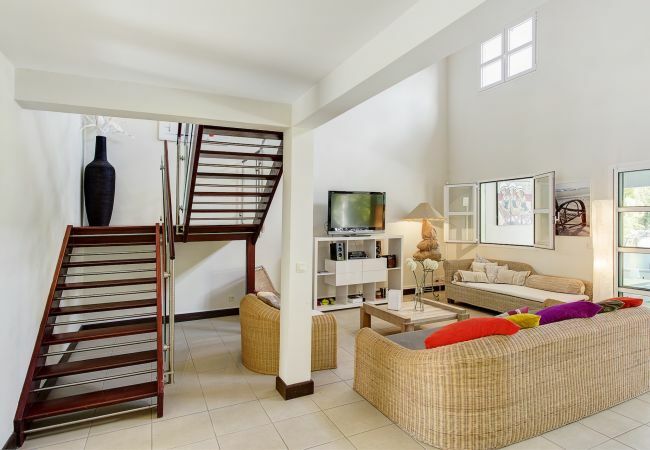 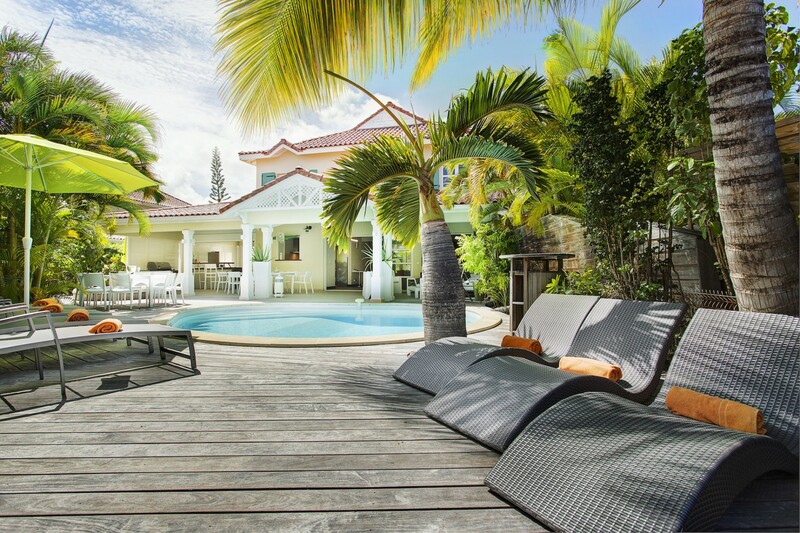 Equipped with 4 bedrooms, Villa Champagne Guadeloupe can accommodate up to 9 people. All the bedrooms have air-conditioning and en-suite bathroom. 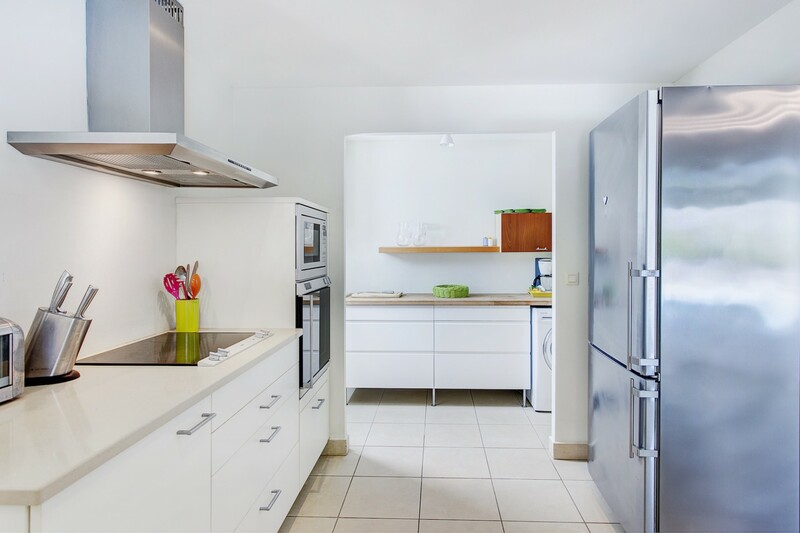 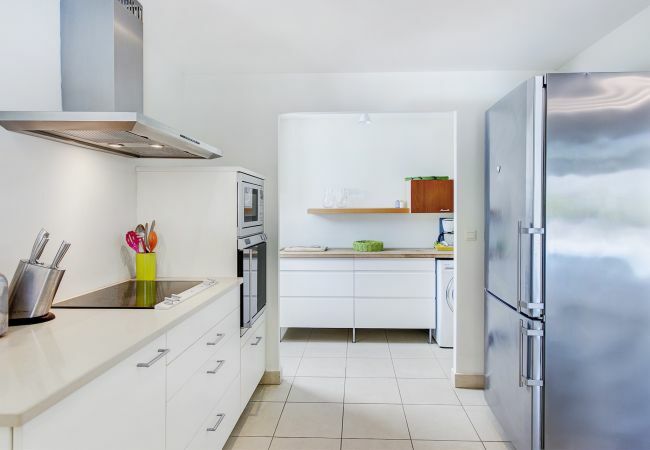 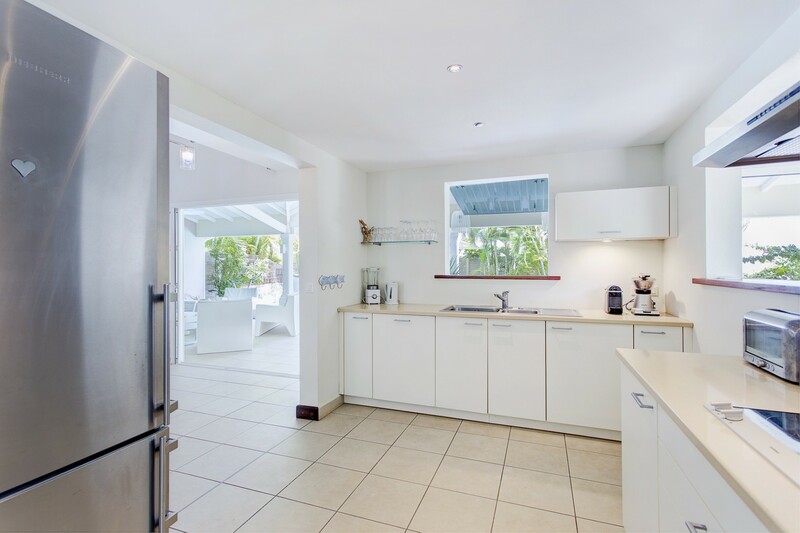 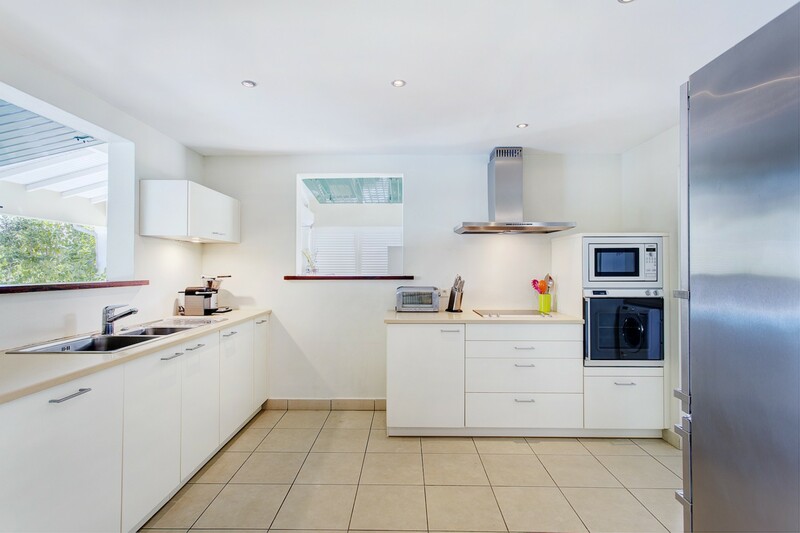 This luxury property has 2 kitchens: one indoor and one outdoor with US fridge and induction stove. 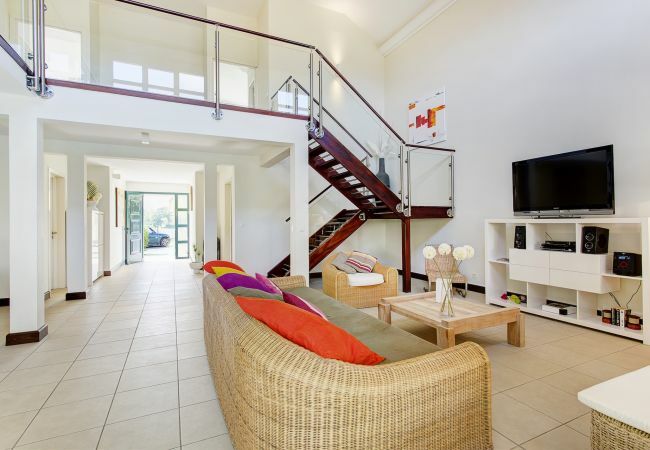 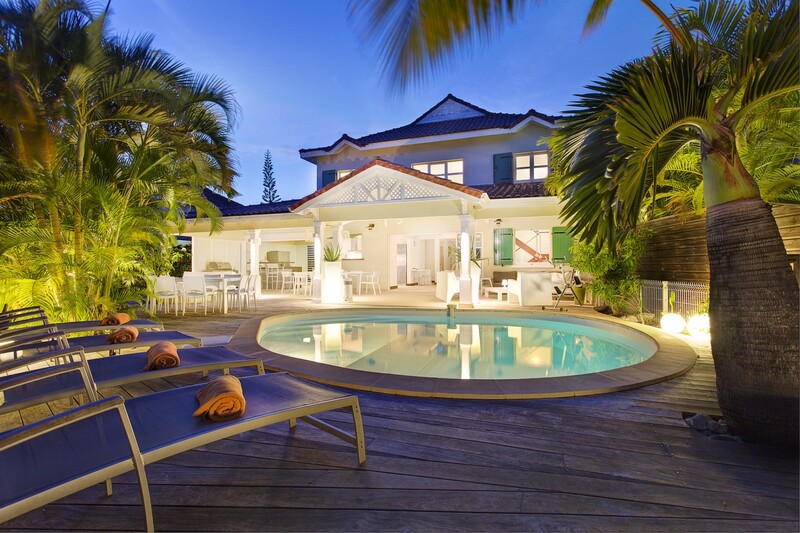 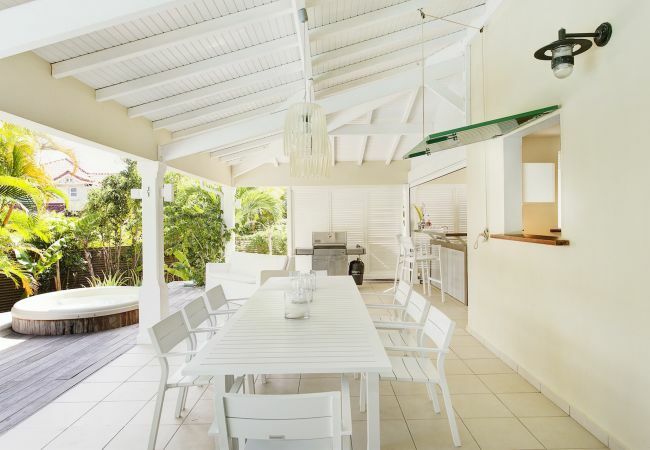 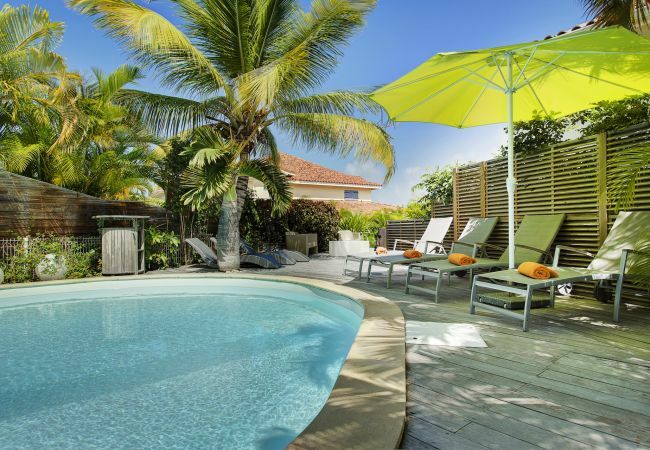 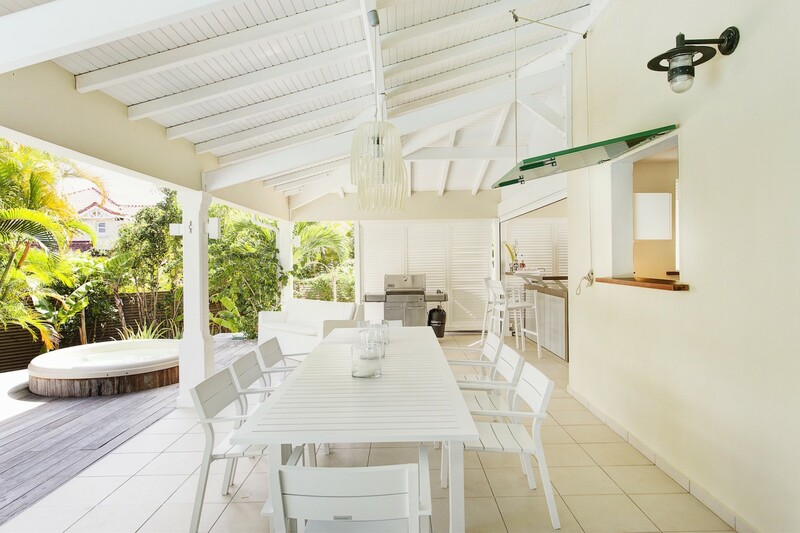 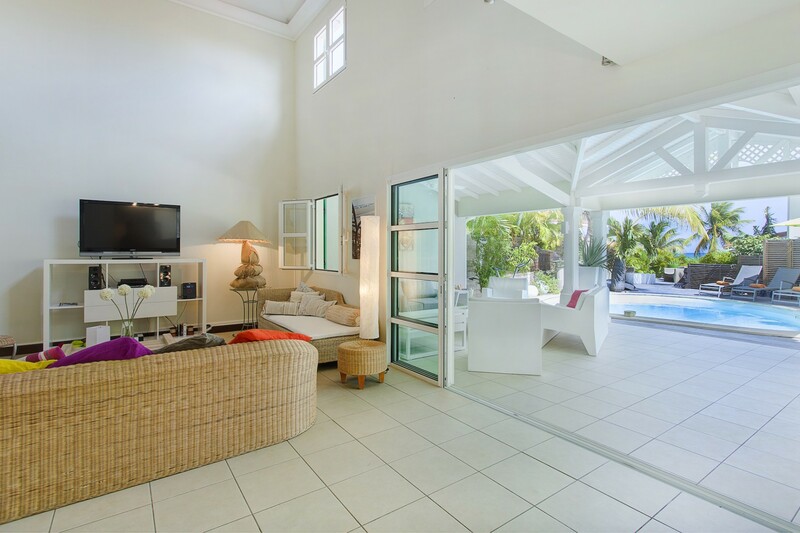 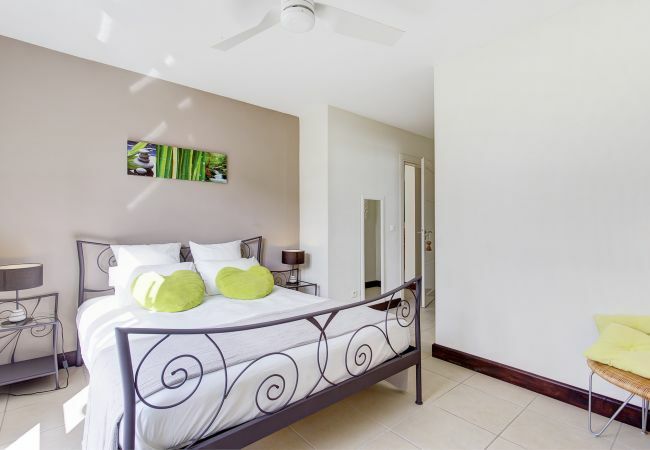 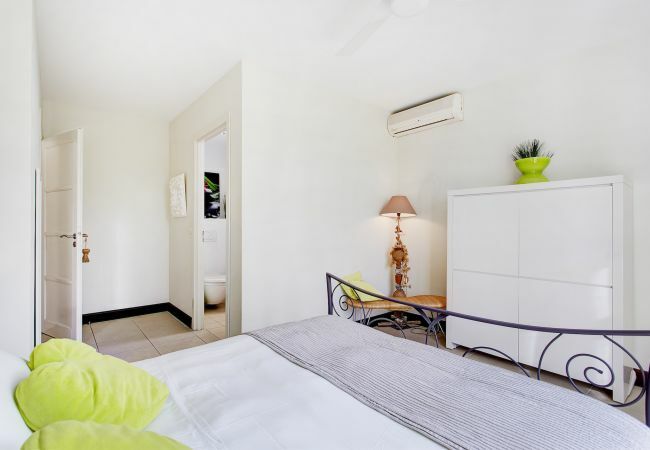 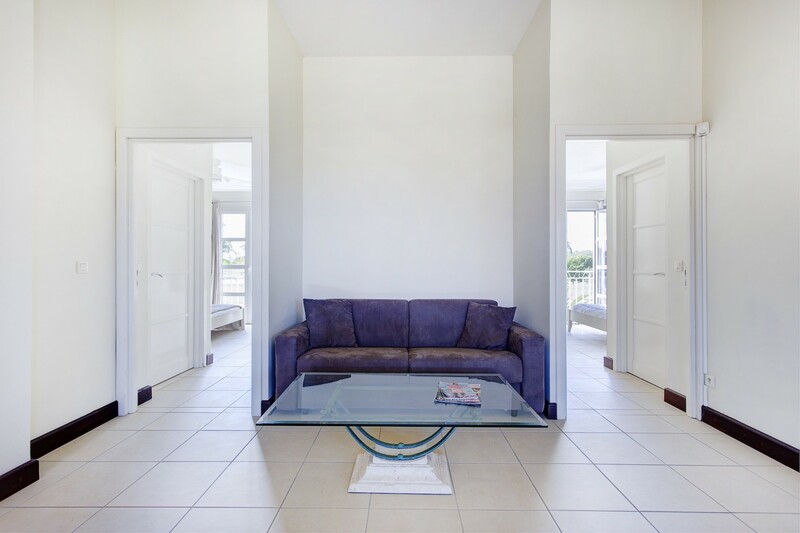 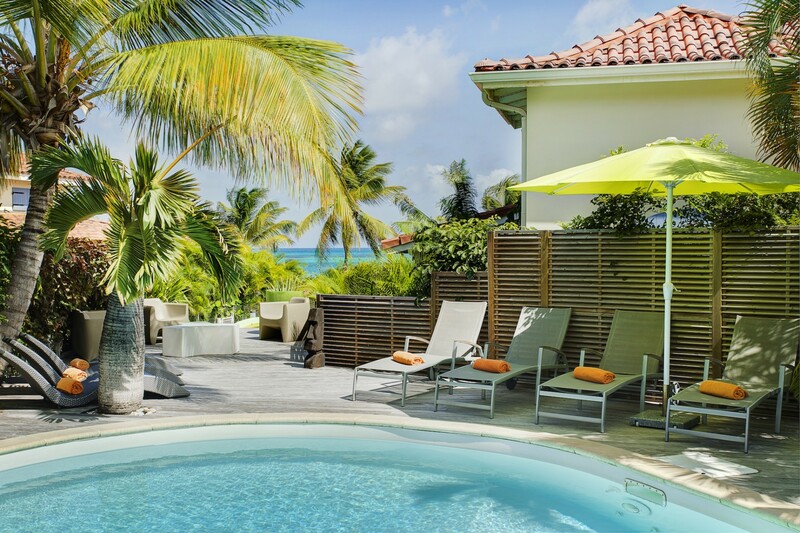 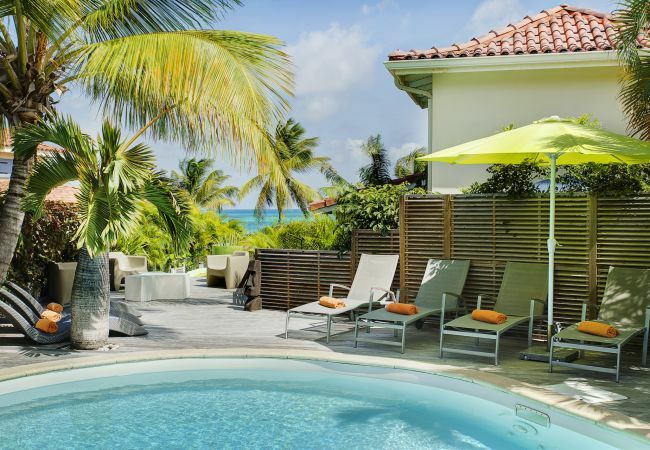 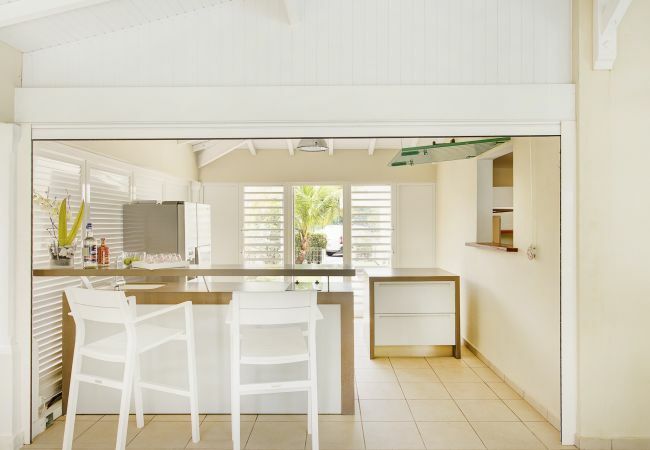 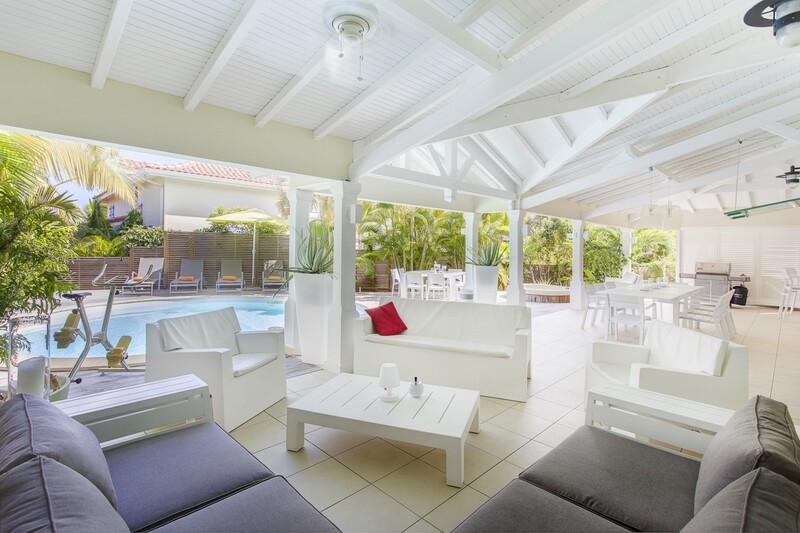 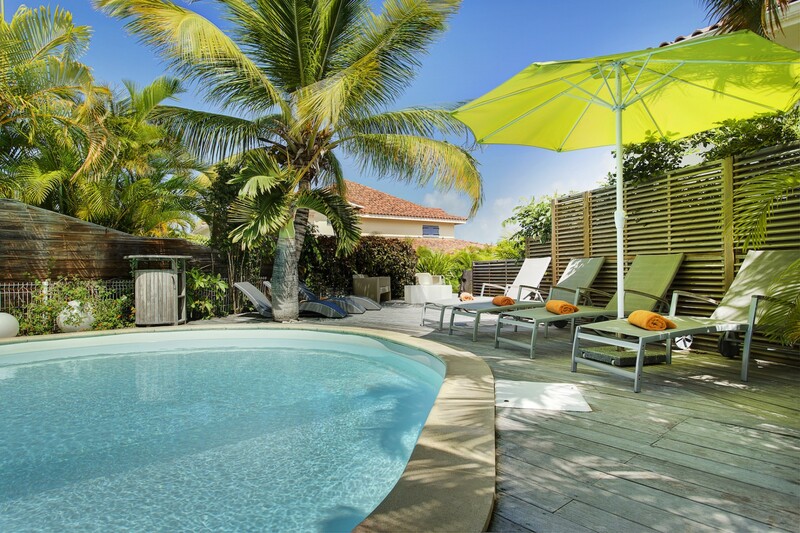 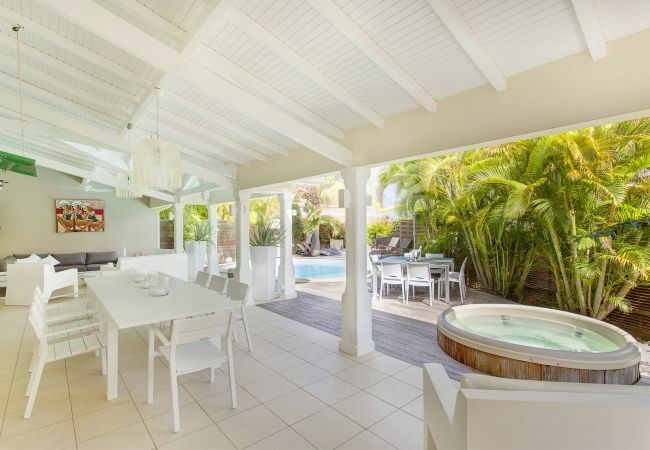 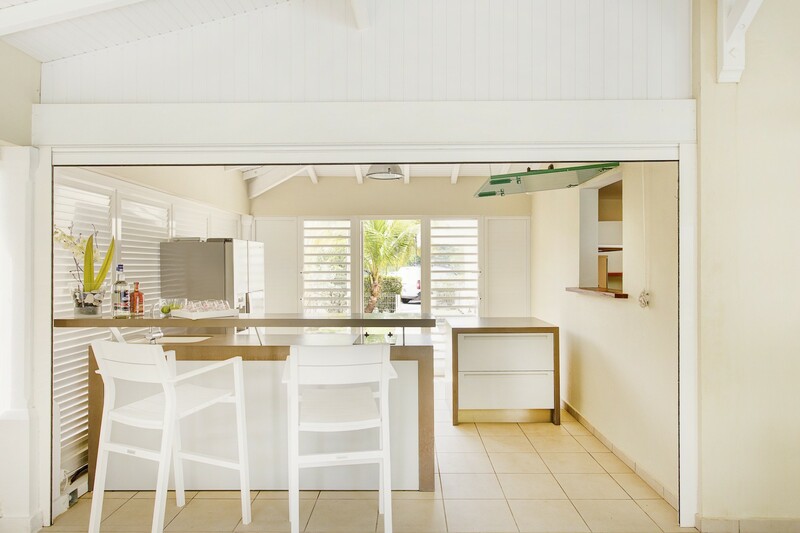 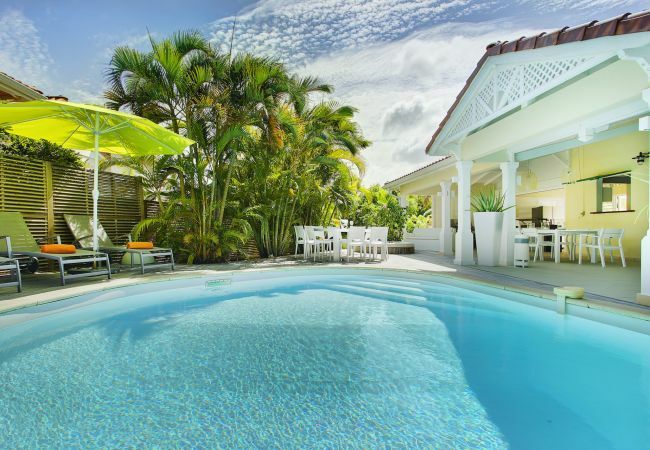 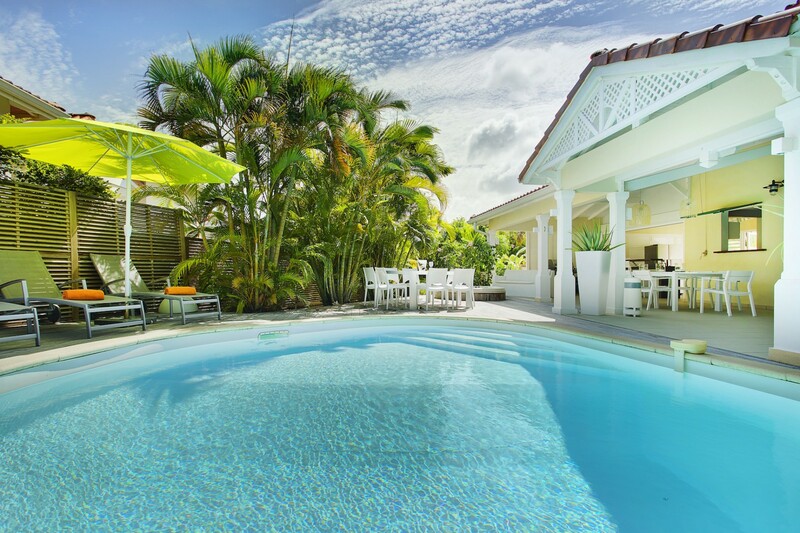 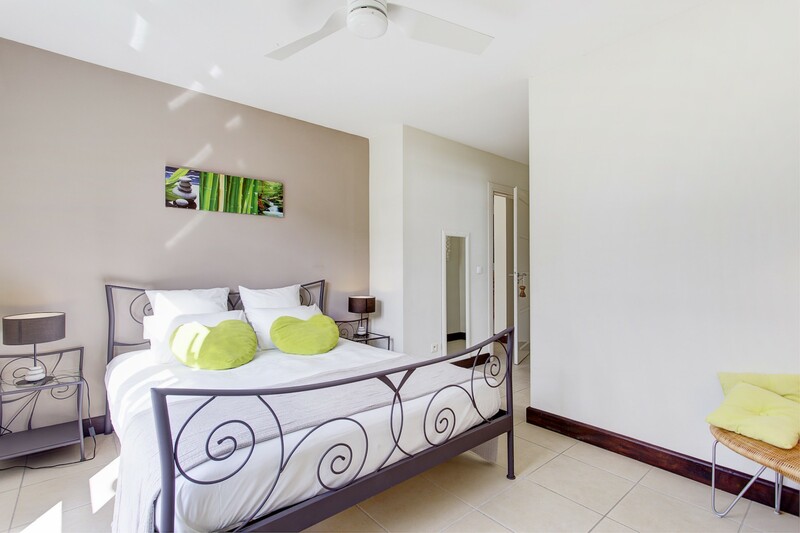 Villa Champagne Guadeloupe is perfect for a family or friends on holidays in Guadeloupe. 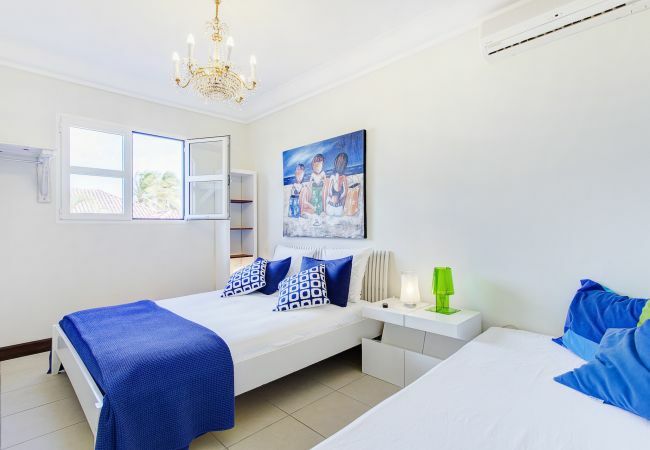 - 4 Queen size beds, 1 Single bed. 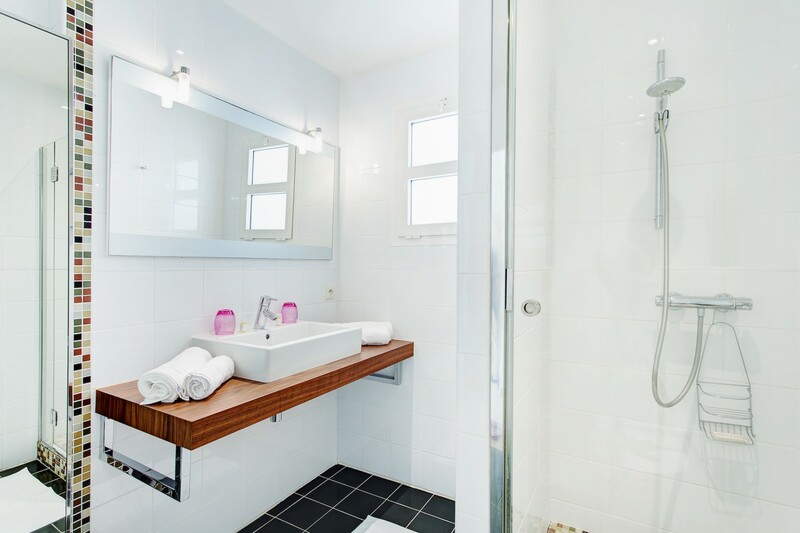 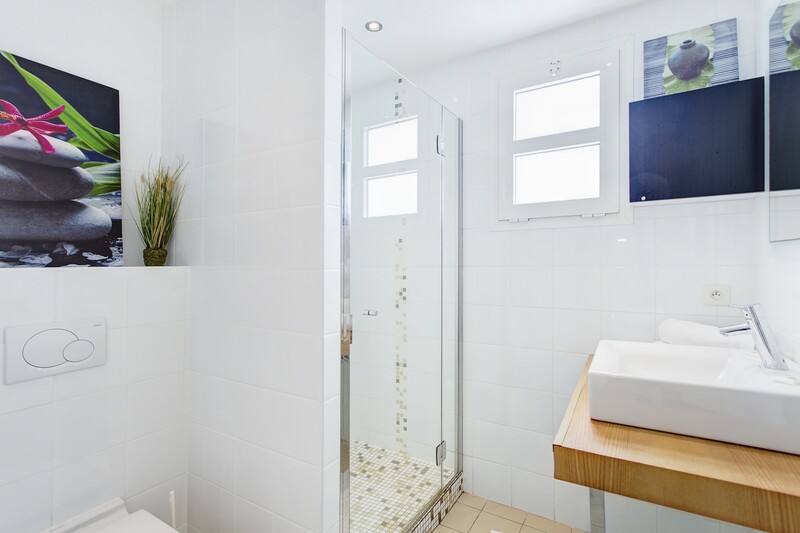 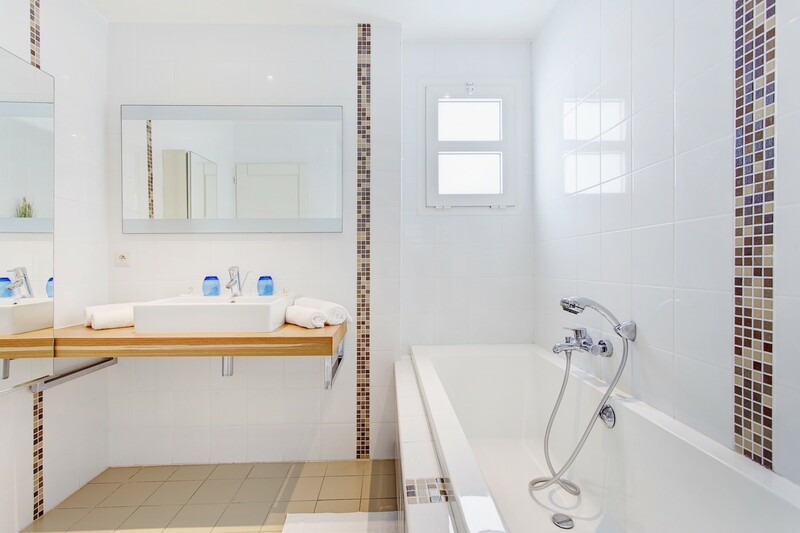 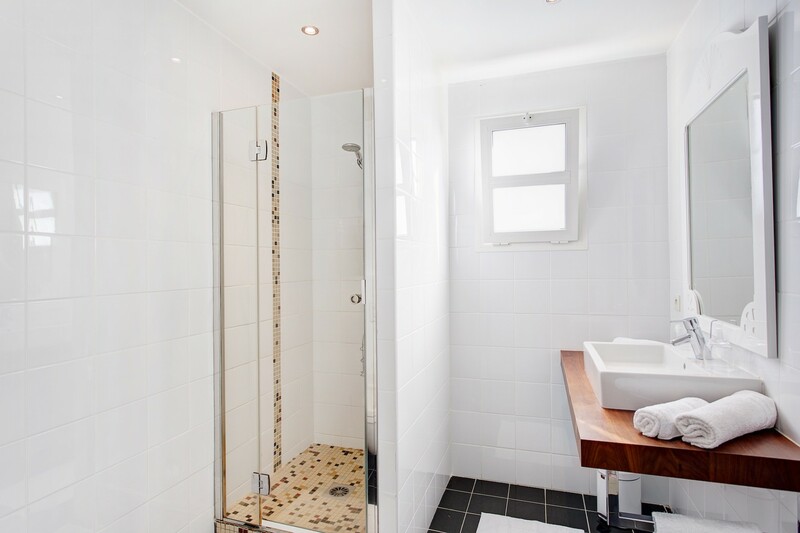 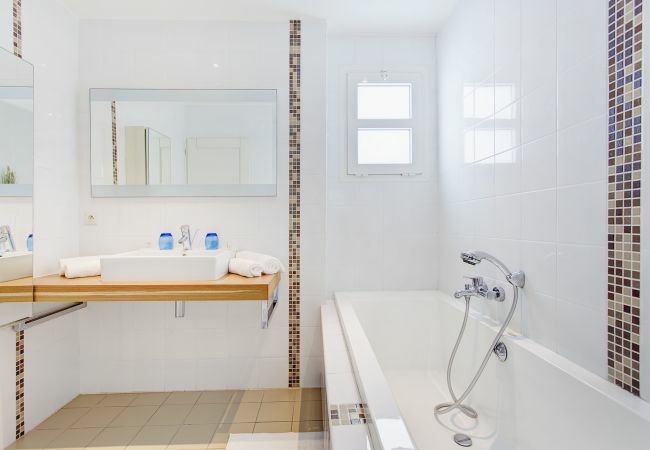 - 1 Bathroom with bathtub, 3 Bathrooms with shower, 4 Toilets, Hair dryer. 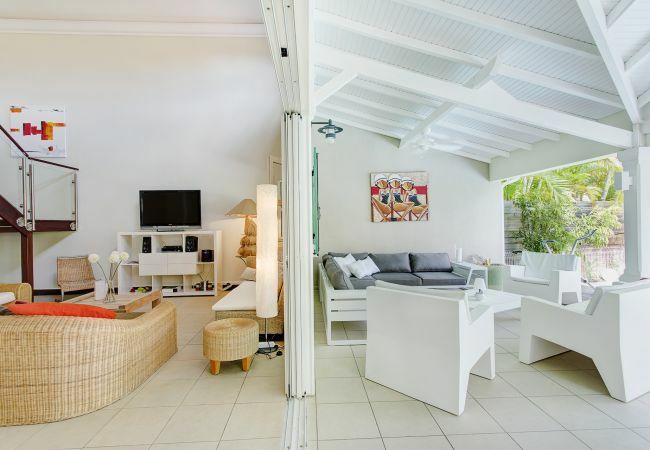 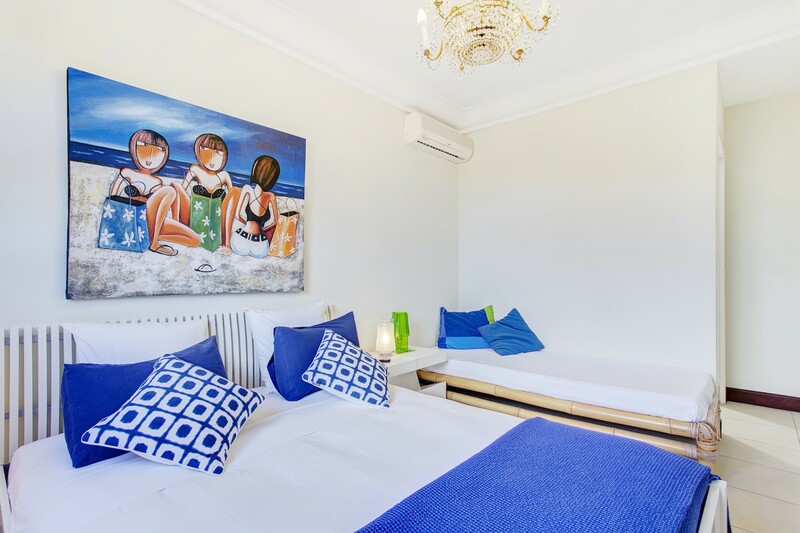 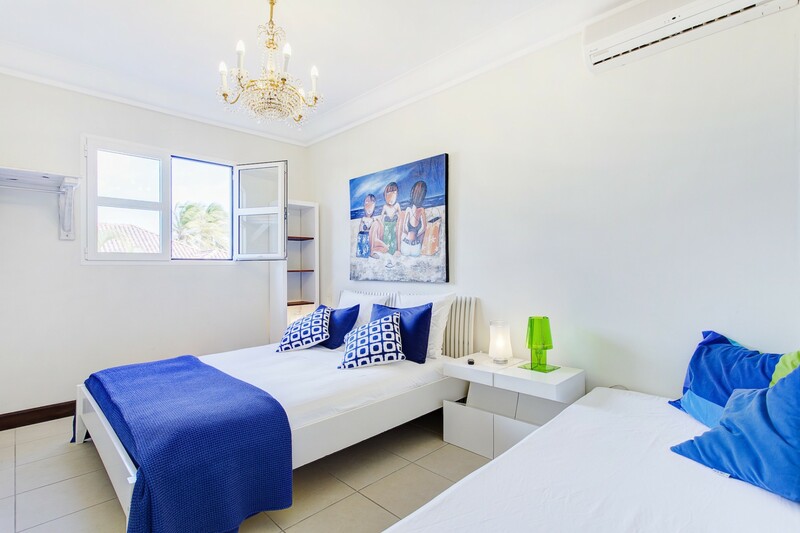 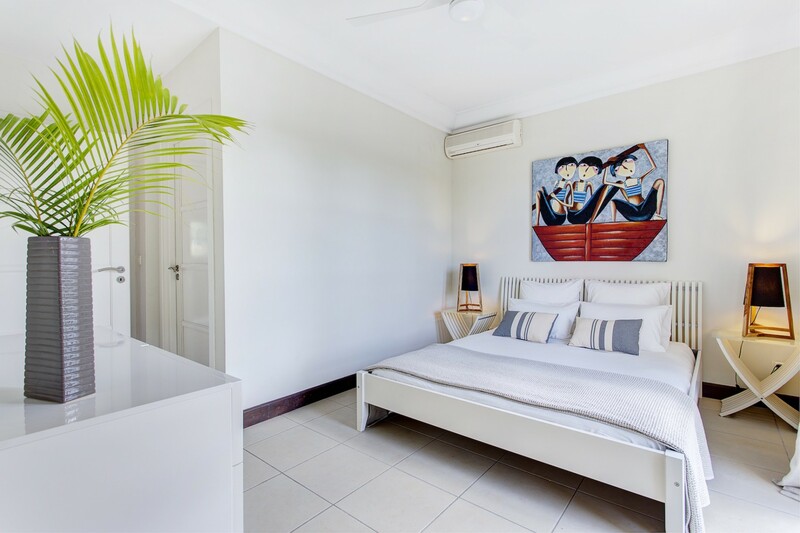 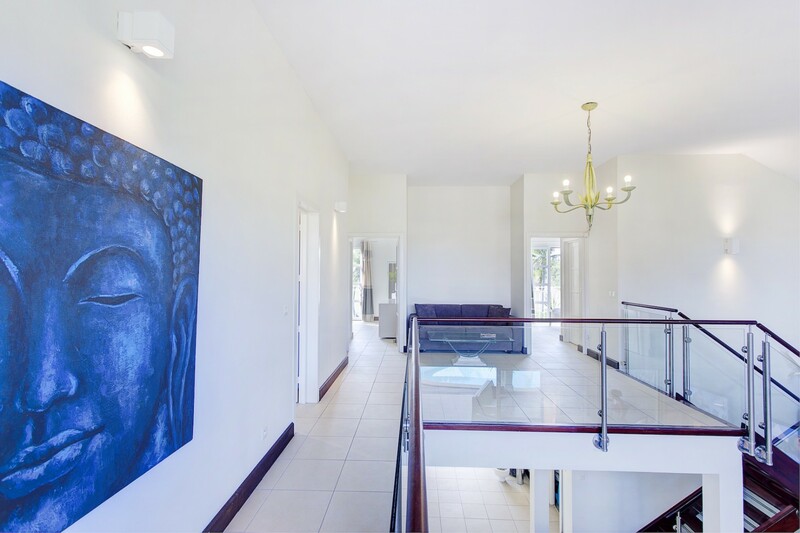 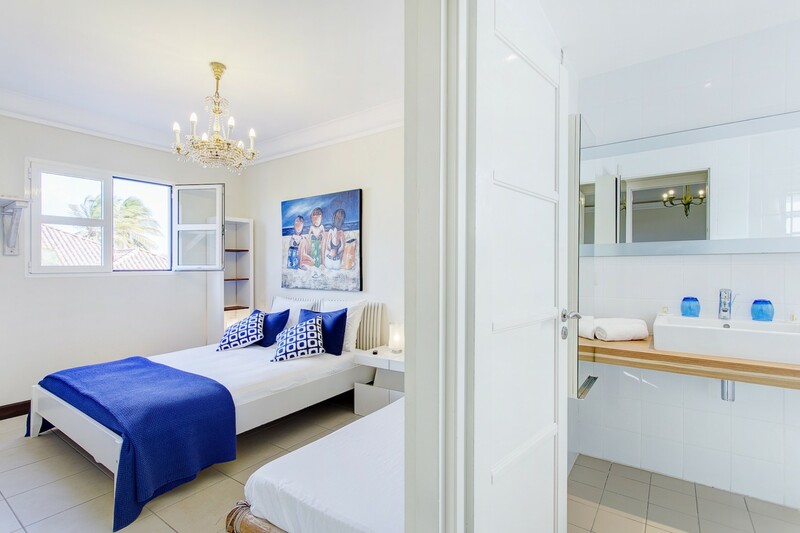 - 1 TV, TV Satellite (Languages: English, French), DVD, garden, garden furniture, fenced garden, 110 m² terrace, barbecue, iron, safe, internet (Wi-Fi), hair dryer, jacuzzi, 300 m² property, 965 m² plot, air conditioning in all bedrooms, private swimming pool, Open-air parking (2 places) in the same building, 5 fans. 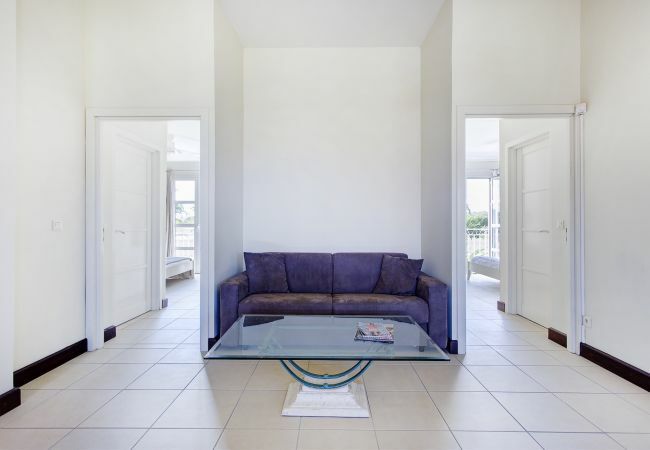 Security Deposit (refundable): - Amount: €2,000.00 /booking. 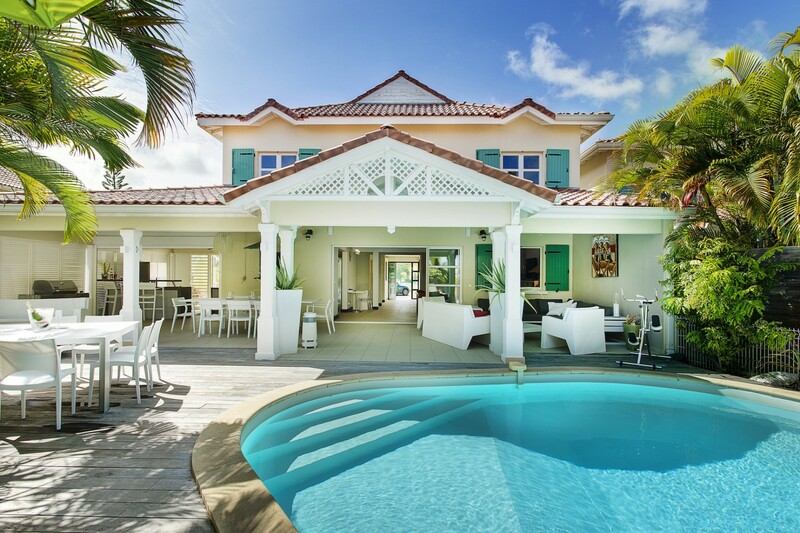 - Payment method: credit card hold. 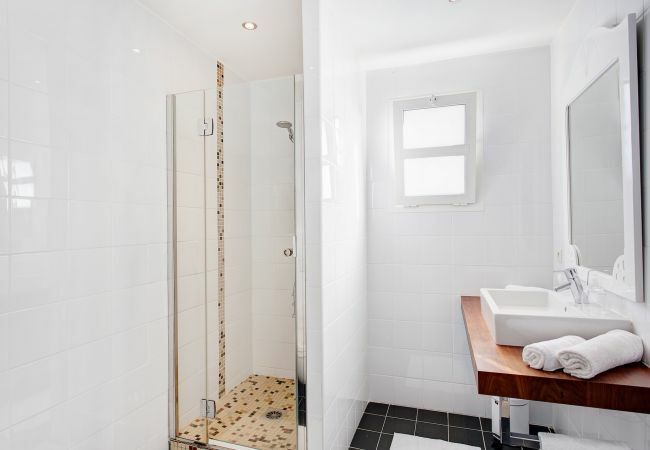 - To be paid on site.